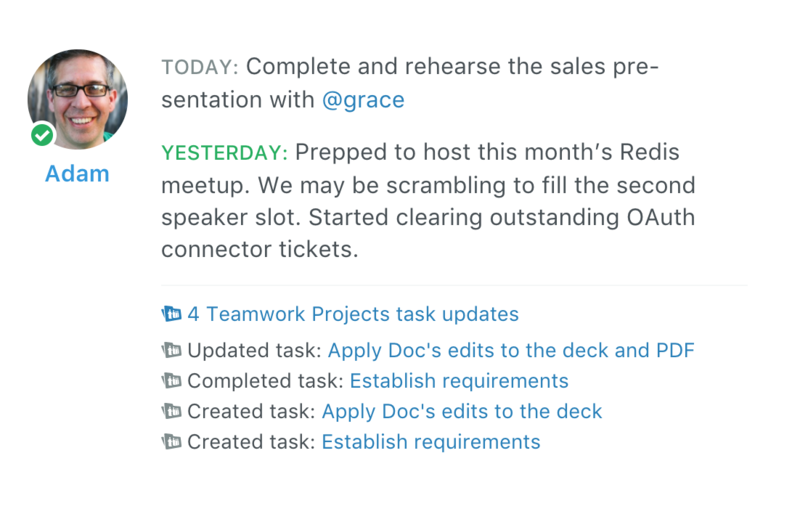 Connect Teamwork Projects to Status Hero with a webhook and Status Hero will match up activity to your team members based on their name. Then, their Teamwork Projects activity appears in the activity page and alongside their check-ins automatically. 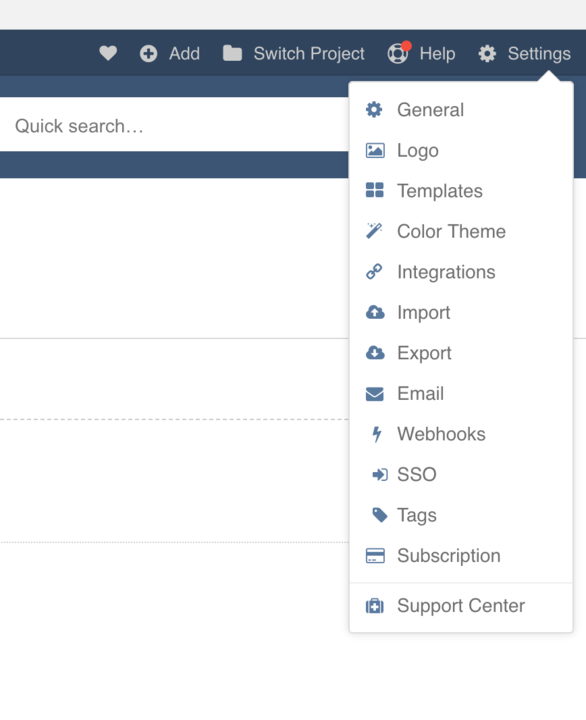 To set it up, first, visit the Integrations page in Team Settings in Status Hero. Enter your Teamwork Projects domain and click "Save." Next, copy the URL listed under "Endpoint URL." 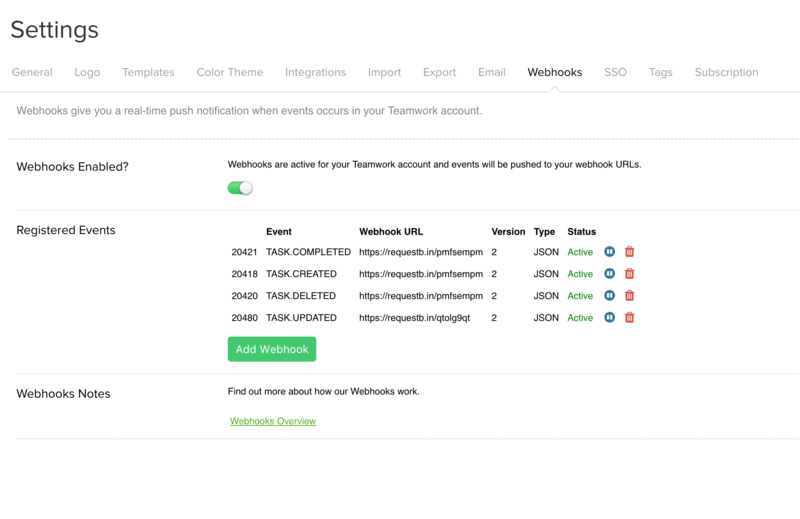 Log in to Teamwork Projects, open the "Settings" menu, and select "Webhooks." 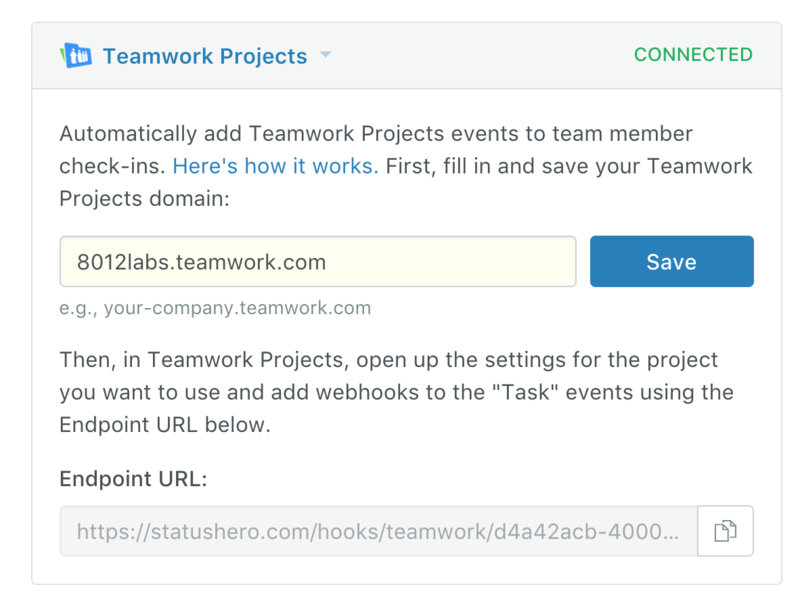 In the "Endpoint URL" field, paste the URL that you copied from Status Hero and click "Add Webhook"." Repeat this process for each of the activities that you want to have automatically included in Status Hero. We recommend setting up all four. Note: The Teamwork Projects integration is available in Pro and Corporate plans only. If you are subscribed to the Basic plan, you will need to upgrade to use the Teamwork Projects integration.